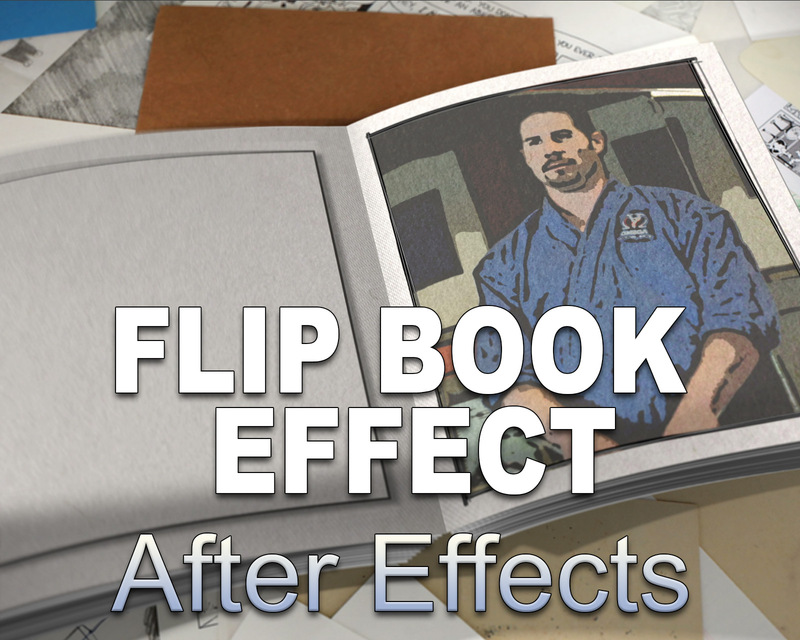 The 3D Flip Book Effect for After Effects makes your footage look like a series of still images printed or drawn on the fast-turning pages of a flipbook. Numerous customization options exist for users who want a unique or specific look, and presets allow editors on a deadline to quickly export a quality flip-book animation. Watch the Demo Video for 3D Flip Book Effect. 3D Flip Book Effect - For After Effects CS5 and up. Drop in your footage and this effect will display it as a series of still images on the fast-turning pages of a flip book. It comes with four flipbook presets to save you time. Everything can be easily customized, like the pace of the page turns, the paper texture, the flip-book dimensions and thickness, and much more. Four flip book animation presets - Export them as is, or use as a starting point to create your own unique animations. Easy Customization - Dozens of easy-to-use slider controls on convenient Control Layers in each preset. Images / Textures - Choose from 21 paper textures and 3 table surface options for your scene. Set a constant speed and frequency of page turns. Display content on either side of book, or both. Close, open, position, and rotate the book in three dimensions. Edit lights and camera movement to create unique animations. Separate turned pages from the flip book for a ""card toss"" effect. Customize the flexibility (bending) of pages. Change thickness (unlimited pages) and dimensions of book. This template will work in CS5 and all later versions of After Effects. No plugins are needed. Music, fonts, and footage placeholders featured in the demo video are not included. The four presets can be identified in the demo video. The other animations are not included.